Wscript.exe is trustworthy file (or program) for Microsoft Windows operating system which is located in the folder C:\Windows\System32. It can be used for logon scripts, administration and general automation. Serves as an executable file, Wscript.exe also allows operating system to execute VBScript files which is the abbreviation for Visual Basic Scripting Edition. A VBScript script must be executed within a host environment such as the GUI mode of Wscript.exe. By default, The Startup file related to Wscript.exe is SYSTEM\CurrentControlSet\Services ‘Windows-based script host’. 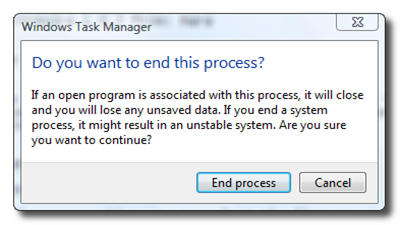 The process of Wscript.exe is non-essential for system, but should not be terminated in Windows Task Manager unless suspected to be causing problems. Errors related to Wscript.exe may trigger the problem of high occupied CPU usage, auto-run of Wscript.exe processes, shortcuts of random folders, auto-opened “My Documents” file folder, etc. Wscript.exe is not a virus, as it acts as one part of system processes. However, Wscript.exe may be manipulated and hacked as a spyware or malware infection by cyber criminals. The common measure used to transform Wscript.exe into a virus is to create new startup key with name YPSAN.F and value wscript.exe WINLOGON.vbs. And then the malign process of Wscript.exe can be propagated onto hard drive to start operation. On the other hand, attackers may only corrupt Wscript.exe to activate abnormal symptoms on compromised machine. 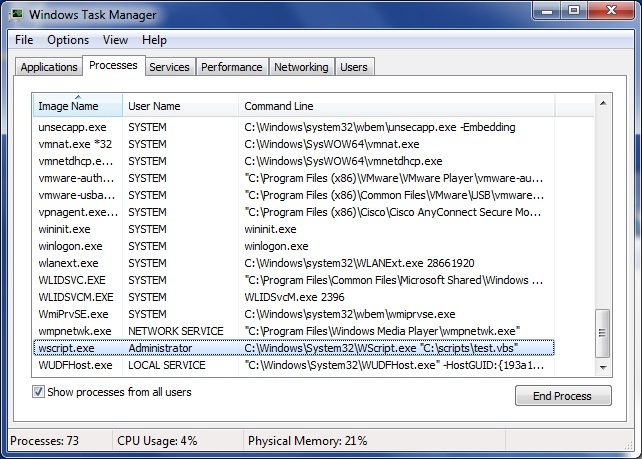 Most commonly if there have two Wscript.exe processes existed in the Windows Task Manager, the computer must be infected with some type of malware or spyware. Step 1: Find out and delete Wscript.exe files. To fix the problems caused by Wscript.exe infection, we need to find out and delete all the files related to Wscript.exe first. 1. Open your computer. Click the Start menu on the desktop. And then you can choose Search icon to continue. 2. In the next Windows, choose All Files or Folders. In the “All or part of the file name” section, type in “wscript.exe” file name(s). 3. To get a complete results, you can select “Look in: Local Hard Drives” or “Look in: My Computer” and then click “Search” button. 4. Wait for minutes. When Windows finishes the search results for Wscript.exe. Right click on all the files related to Wscript.exe and delete them all. Step 2: Terminate all the processes of Wscript.exe. 1. 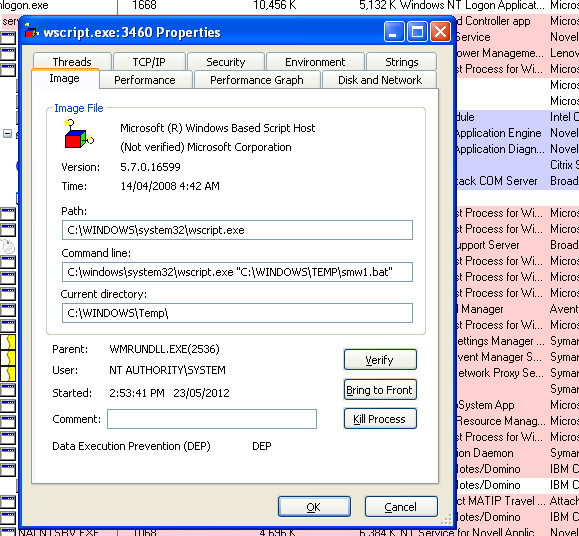 We can use the Windows Task Manager to stop all the processes related to Wscript.exe. To do this, you can press CTRL+ALT+DEL or CTRL+SHIFT+ESC or Press the Start button->click on the Run option->Type in taskmgr and press OK.
2. Click on the “Image Name” button and the scroll down to search for the processes related to Wscript.exe. 3. And then you can select the “wscript.exe” processes and click on the “End Process” button to terminate them. 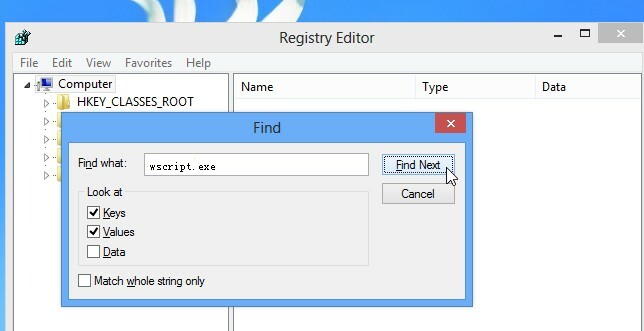 Step 3: Delete Registry key values related to Wscript.exe. The infected Wscript.exe generally adds corrupt entries in the compromised computer’s registry so it can hide deeply without computer user’s awareness and surreptitiously make hazards on affected machine. 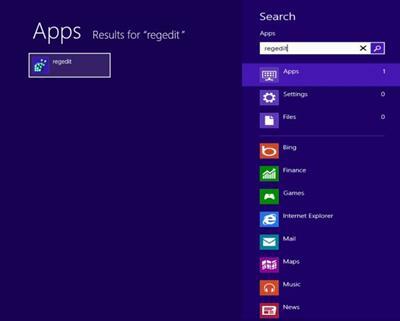 Then you can search for and delete the related registry entries listed below. 1. 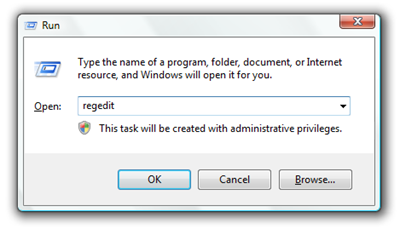 To do this, you can click “Start” button and selecting “Run.” Type “regedit” into the box and click “OK” to open Registry Editor. 2. 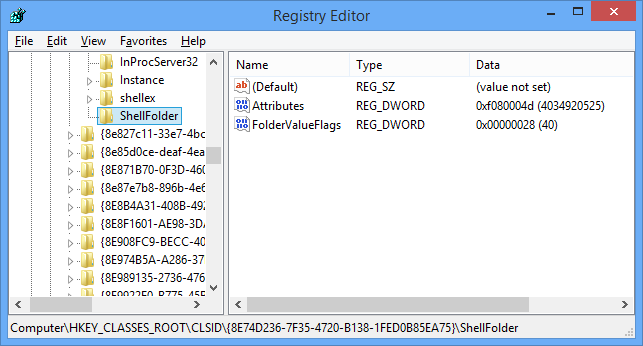 Or you can open Registry Editor by pressing (win key+R) and typing in “regedit” without the quotes. 3. When the registry editor opens up, press (Ctrl+F) and type in Wscript.exe. 4. Then you can navigate to directory of Wscript.exe and delete the infected files manually. 5. After that, repeat the steps 3-4, and search for the resgirty files related to WINLOGON.vbs or YPSAN.F. Right click and remove them all. 6. When you finishes, restart computer to take effect. The Wscript.exe is a reliable file or program used for Microsoft Windows operating system. It is designed to help computer users to allow additional functions to scripting. However, it may be attacked and utilized by cyber criminals as spyware or malware to make damages on compromised machine. Problems related to Wscript.exe may include slow performance of system, double Wscript.exe processes, shortcuts of random folders, auto-opened “My Documents” file folder and so on. To fix the Wscript.exe problems, computer users may download and install a standard registry tools or anti-malware application to safeguard computer against abnormal symptoms. Anyhow, they may fail to repair the Wscript.exe problems in some serious conditions. If this is the case, you may try the almighty manual approach to fix Wscript.exe problems and infection completely. Please be aware that Manual method is a process of high complexity and should be performed with extreme caution, or mal-operation often results in loss of precious data even system crash. Tips: If you are not familiar with computer operation and need help to fix Wscript.exe problems, you may contact VilmaTech online expert for tech support .